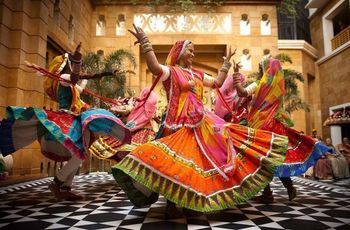 Tap Your Feet on These Wedding Songs(Hindi) to Serve Some Wedding Dance Goals | Wedding Tips ARE YOU A VENDOR? Check out our list of songs for your wedding that will make everyone groove on the dance floor. Make sure to prepare some performances on these songs and give some to the wedding DJ, so that everyone can sway. 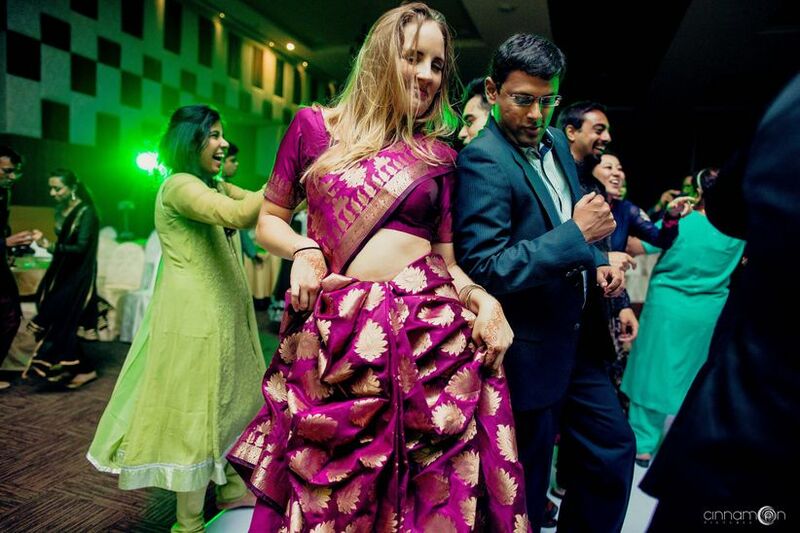 Dance and music go hand in hand with wedding revelry! Be it the Sangeet, Mehndi, wedding or the reception; no occasion is complete without a handpicked wedding songs’ Hindi playlist. After all, it's music that sets the pace, rhythm and makes a moment complete. Wooing the bride, having a naughty banter with the bride squad or telling your parents how important they are - isn't complete without the right tune to back it up. So, if you're planning on a song and dance affair, don't forget to customise it, as you do with your wedding invitations or wedding decor. The mehndi wedding songs’ Hindi list is all about fun, colour and emotions. These are especially for the bride-to-be and allow for fun wedding choreography and a lot of entertainment for everyone, even as the bride’s getting ready for her big day. 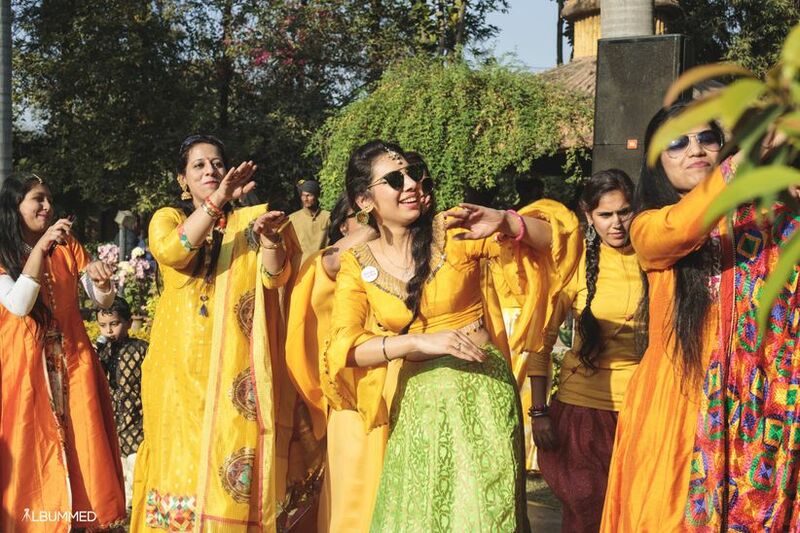 The below-listed songs are a mix of classic and some peppy mehndi songs that will make the occasion even more happy and memorable. Here is an absolutely on-point Mehndi performance on the song, choreographed by Dancamaze. 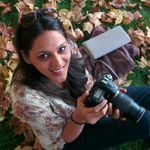 Here, vlogger Simran Bhatia takes the stage for her friend. And we thank her for sharing this performance on the classic song with the world. Need ideas on how to incorporate it in your own Mehndi / Sangeet? We recommend a lip-sync version, like the one shot by one of our vendors, SDAVK Studios. 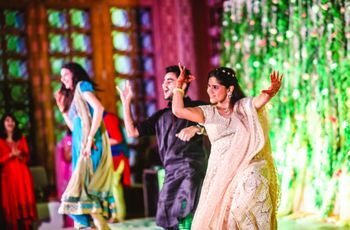 The Sangeet ceremony is a pre-wedding function where the bride, the groom and their families come together to kick start the wedding ceremonies in full swing. This is a great occasion to plan choreographed dance pieces involving the entire family, plus surprise, impromptu ones that happen on the fly. 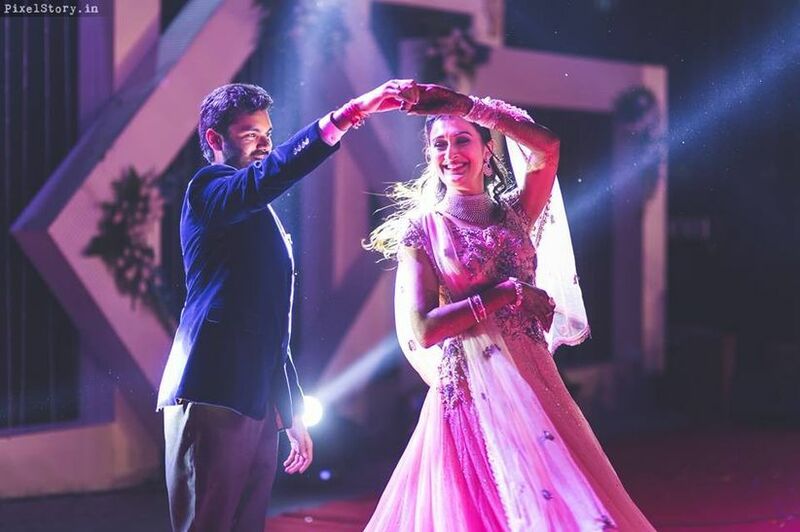 You can recreate the couple’s journey through dance and songs or set the stage for their beautiful life ahead which would make for some beautiful wedding pictures. The family hits the stage together for a group performance on Kala Chashma in this piece executed by Jashn Choreography. You could also go solo, or just pick your squad to swing along. The wedding songs’ Hindi is a bevvy of different moods - from the subtle, meaningful ones to the sheer exuberance which comes with this once-in-a-lifetime experience. Welcoming the guests and groom, marking the bride's entry, the Jaimala ceremony, the Pheras, the Bidaai and the time when everyone hits the dance floor, marriage songs indeed capture all moods that mark the sanctity of a marriage. Catch the family get into a dance mode, courtesy CoolBluez Photography. Beats & Fusion Studio also took the lip dub approach on the 'Punjabi Wedding Song' for Rahul & Sheetal's wedding. You could too - or simply welcome the Baraat with it and replay it alongside the 'Nagin' song when everyone's on the dance floor. 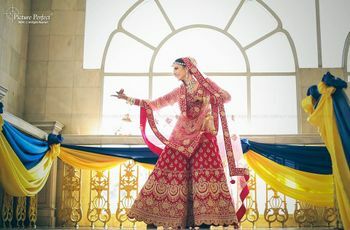 For style inspiration, we recommend the Galla Goodiyan wedding performance captured by CoolBluez Photography. They decided to catch a Bollywood crazy family in lip dub ensemble. 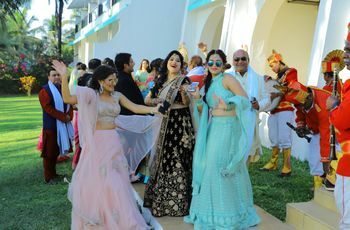 The reception wedding songs’ Hindi list needs to highlight the romance and love between the couple, the spirit of blessings that come from everyone around them and the sheer joy, fun and happiness because they made it! Ozen Studios recorded the wedding saga for Aniruddh and Shubhi with the song 'Gulabo' from Shandaar. You could consider it for your first dance as a wedded couple. 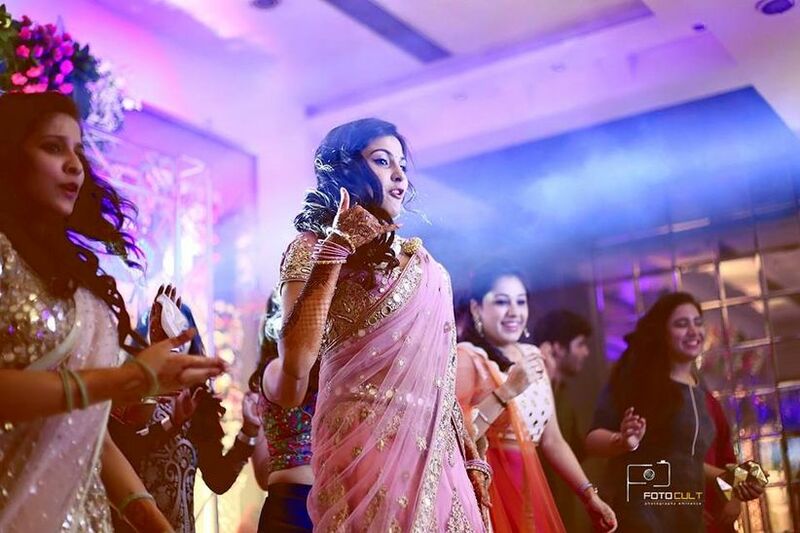 Let the music express the inexpressible while you get busy posing for the wedding photographer in your beautiful bridal lehenga or wedding saree. And if you're impressed enough by our compilation of wedding songs in Hindi - you can submit your own to our Real Weddings section. 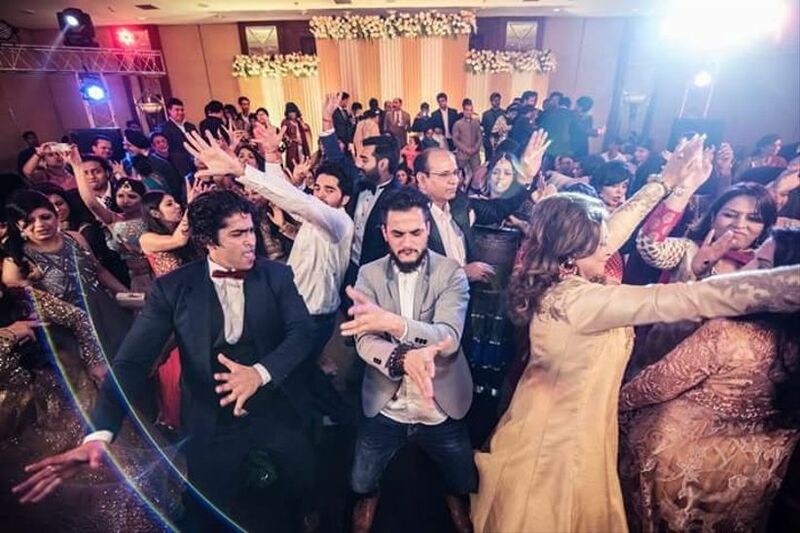 1 comment in "Tap Your Feet on These Wedding Songs(Hindi) to Serve Some Wedding Dance Goals"